I booked tickets for G-Eazy back in December last year, so to say I was excited is an understatement. Since an American intern at work mentioned that I'd probably like his music I've been hooked pretty much since. His newest album 'When It's Dark Out' was released early December, I loved it, so as soon as I knew there was a gig in London happening I booked two tickets. I'm a big fan of HipHop and Rap but I've never really been to any live shows of that genre, all the gigs I've been to have been either Pop or Rock (or sub-genre), so I really had no idea what to expect when I was walking up from Camden Town station to the KOKO in Camden. 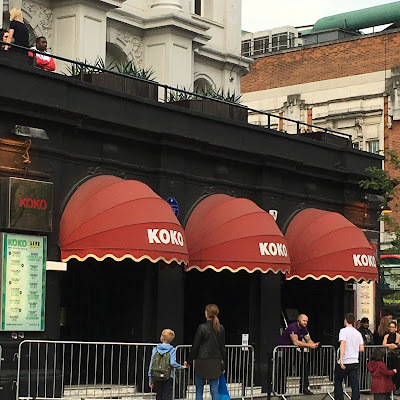 With my best mate by my side we joined the very long queue and had a couple of prepackaged Jack Daniel & Cokes to get into the gig spirit, I think I hid my excitement well even when I spotted him on the roof bit of the KOKO. Once we were in, we headed straight to the bar and found a decent spot to stand and watch the opening performers, some were good, some not so much, I couldn't tell you their names as I don't remember, they didn't do particularly long sets which is probably why they didn't make a huge impact on me. One thing to note though, the majority of the crowd were probably around 17 years old, how do I know this? Well, under 18s had a cross on their hand, so when 75% of the crowd (that I could see) had crosses I guessed their ages to be pretty close to 17. 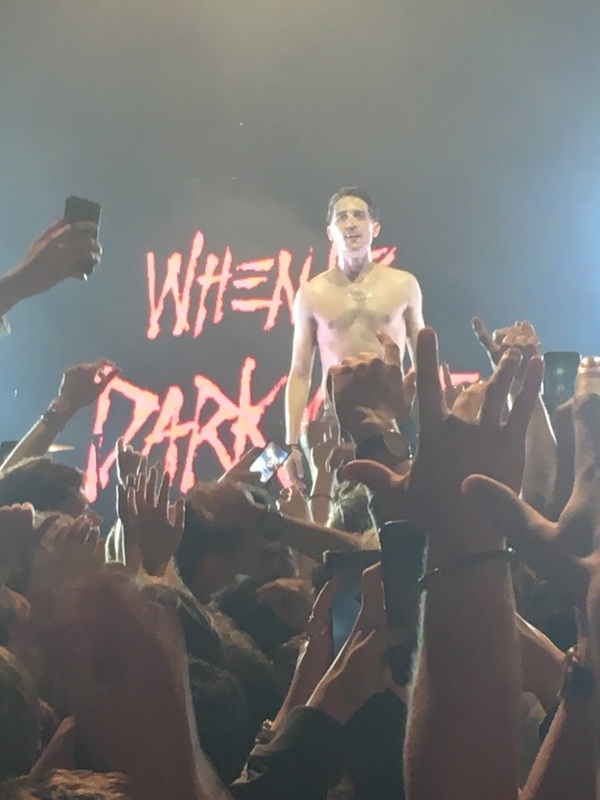 I'm 25, so I did feel quite old stood in the midst of them all, but for me music beats everything and even the little anxiety I had about being old soon died once G-Eazy stepped on stage. G-Eazy was incredible, a great performer and simply amazing live. 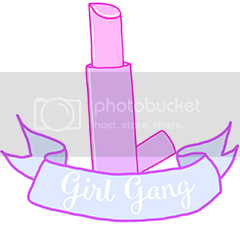 I'm not sure what I expected but it exceeded those expectations and I enjoyed myself a hell of a lot more than I imagined I would. He played a good selection of songs, of course all the well known songs matched with the lesser known tracks, the flow of the tracks were great and I was hot and sweaty at the end of the night which is always a sign of a great show and a good time. My mate who had only listened to a bit of his music (enough to say 'yes i'll come with you! '), loved every minute of the night too, so whether you're a die hard fan like me or a newbie, the most important thing is that you'll have a great night. Isn't that the greatest thing about a gig? As long as you're happy to immerse yourself in the experience you'll have fun. Side note, it was lovely to visit the KOKO again, haven't been to that venue in years and I'd forgotten how lovely it is inside, definitely going to be keeping an eye out for more gigs there in the near future!